What is the secret to success?” “How can I become a successful person?” “What separates successful people from everybody else?” You've probably asked these questions from time to time over the course of your life. If you have, you're in good company. The philosopher William James once remarked that the pursuit of success has become the greatest individual obsession of modern times. He made that observation over one hundred years ago – and since that time, the desire of people from all walks of life to improve themselves and lead richer, more fulfilling lives has only increased. Most people possess a genuine desire to succeed and to fulfill their dreams. What they lack is genuine insight into why, at this point in their lives, the success they want is eluding them. When you finish reading a self-improvement book or turn off a motivational tape, you have to be mentally prepared to follow through on the advice you have been given. Getting temporarily motivated or “pumped up” to be successful is not a substitute for “building up,” step-by-step, a clear understanding of the obstacles that stand between you and success. There is no substitute for developing a real understanding of what makes you tick – of how your own thinking and your own behavior can create obstacles that block your path to success. You need to identify, and then clear away, the hard-to-detect obstacles that keep you from thinking and behaving successfully. In a career spanning over 30 years, Dr. Carl Aylen has developed a reputation as one of the world's leading experts in the field of computational neuroscience and human performance. He possesses a deep understanding of the connections between the ways that people think and the ways in which they behave. Over the course of his career as a researcher, teacher, CEO, and corporate reconstruction expert, he has made significant discoveries by thinking counter-intuitively – that is, by questioning those ideas that people usually take for granted. Through rigorous research and practical testing, he has analyzed numerous popular approaches to being successful. 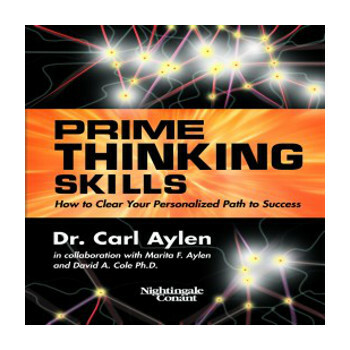 The results of his exhaustive research are found in this program, Prime Thinking Skills: How to Clear Your Personalized Path to Success. Prime Thinking Skills will teach you to master the four thinking perspectives and tap into a world of intelligence that will bring success to your life – your definition of success.